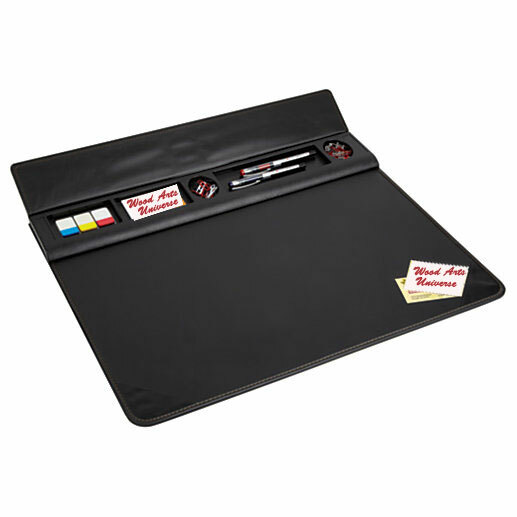 This genuine top grain leather desk pad with decorative stitching and built-in storage in the header panel to fit business cards, paper clips, pens, pencils, small note pads, coins, etc. Sewn corner flaps at bottom edge offer additional storage of small papers and business cards. An ideal gift to enhance the office executives working day. Available in black, brown colors.